On December the 3rd, 2015, Victor Frankenstein will be released in cinemas throughout the UK. 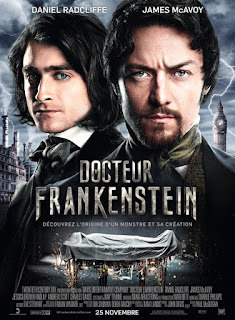 The film stars James McAvoy and Daniel Radcliffe as two of it's titular leads, where we'll get to see them both reenact a dynamic and thrilling twist on an old legendary tale. I'm sure you know the type of thing I'm talking about, horror fans. Dead bodies. Reanimated corpses. Gothic horror. Radical scientists. People with crazy ideas. Gas lamps. Corsets. Dodgy facial hair. It's alive. It's alive. Yes, master. It's dead. That sort of thing. Except this time told from the perspective of Igor Strausman, played by Daniel Radcliffe, who shares an ignoble vision with Victor Frankenstein, played by James McAvoy. The first Frankenstein film was made in America in 1910 by the Edison Manufacturing Company, based on the original 1818 novel written by Mary Shelley. It was only 16 minutes long. 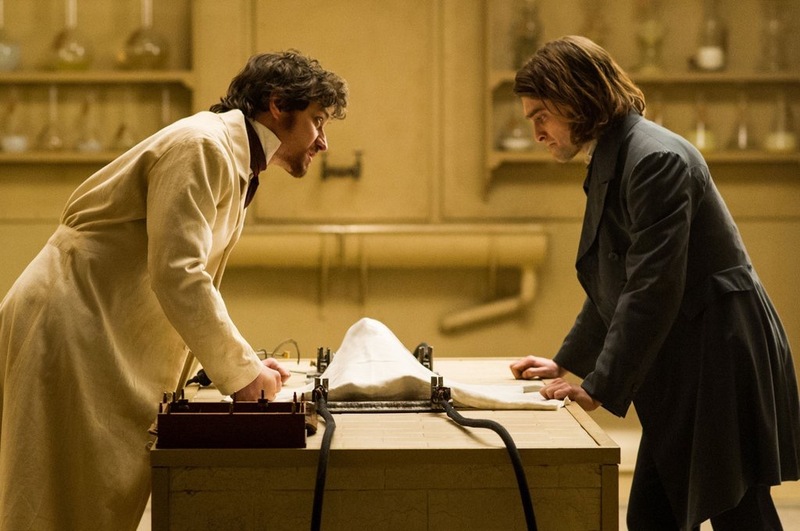 Daniel Radcliffe wore hair extensions for his role as Igor, rather than wear a wig or grow his hair out, which ironically, would have took too long. Originally Shawn Levy was set to direct this film but backed out, making way for Paul McGuigan. The mis-pronouncement of the name Frankenstein' -- that's pronounced, 'Frunk-Kon-Steeeen' -- is a little Easter-egg for everyone who loved the Mel Brooks 1974 comedy classic, 'Young Frankenstein'. For you Sherlock fans out there, you might like to know that this film stars three cast members from that award winning BBC TV show: Andrew Scott, who played Moriarty, Mark Gatiss, who played Mycroft Holmes, and Louise Brealey, who played Molly Hooper. Director Paul McGuigan also directed four episodes of Sherlock as well. To date, this story has been retold on the big screen twenty-five times. The "twist" that this movie puts on this classic tale is that it's told from Igor's perspective. Yet as most of us horror fans know, Igor doesn't appear in the original 'Frankenstein' novel by Mary Shelley, he was an addition made up in the 1931 Boris Karloff version of the story, originally called 'Fritz'. To coincide with my previous fact, you might like to know that their is a character in this version called Doctor Clive, and he was named after Colin Clive who played Doctor Frankenstein in the 1931 adaptation. The majority of this movie was shot from November 2013 to March 2014, and some of it was filmed on location throughout the UK. This includes the Manchester Town Hall (Greater Manchester), Dunnottar Castle (Aberdeenshire), Old Royal Naval College and the King Charles Court (Greenwich), plus Hatfield House, (Hertfordshire). Daniel (Don't call me Potter) Radcliffe plays Igor. 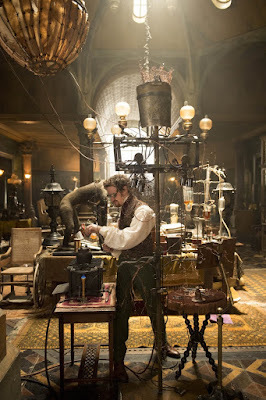 James (Professor Y) McAvoy plays Victor Frankenstein. Jessica (I once had a cameo in Downton Abbey) Findlay plays Lorelei. Bronson (Spider) Webb plays Rafferty. Spencer (Huge bone) Wilding plays Nathaniel and Prometheus 2. Daniel (Never grown a beard) Mays plays Barnaby. Robin (The boy wonder) Pearce plays Baron Bomine. 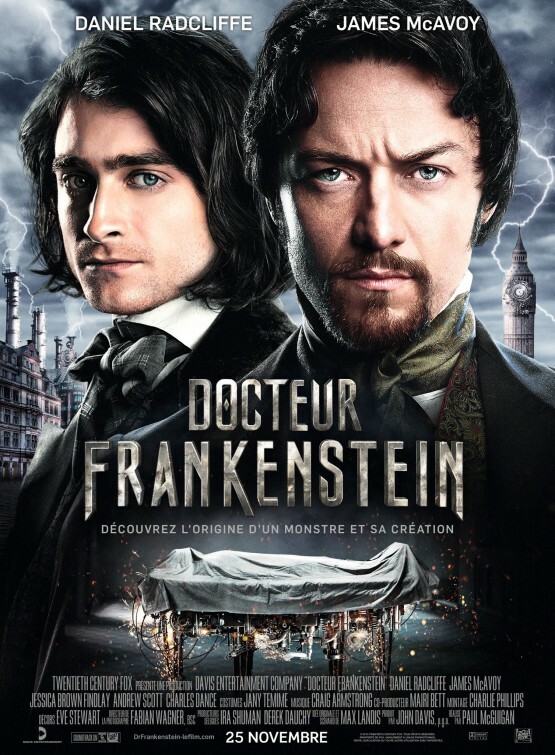 Victor Frankenstein was directed by Paul (Lucky Number Slevin) McGuigan, written by Max (My Dad Directed An American Werewolf In London) Landis, and produced by someone I can't be bothered to google, although they'll probably have money. The musical score was devised by exactly the same chap that cobbled together the tunes for Love Actually, The Incredible Hulk, and Moulin Rouge, Craig Armstrong.